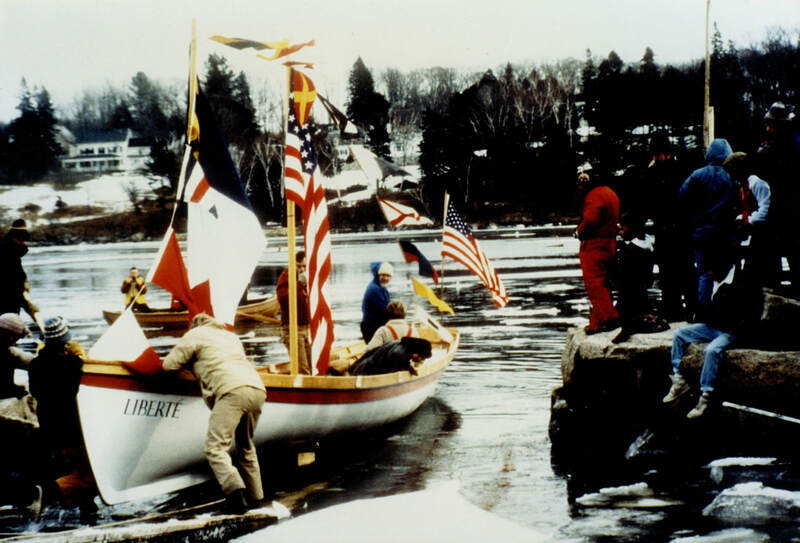 The first gig, Liberté, was launched in January 1986 in Rockport, Maine. The Bantry Bay gigs––38 ft., ten oars, three masts, dipping lug. Elegant. Fast. French. ​Bantry Bay gigs are 38 ft Admiralty gigs from the 18th-century French navy. Captured by the British on the shores of Bantry, Ireland in December 1796, the oldest existing French gig, also termed the “Yole 1796” now rests in the National Museum of Ireland in Dublin, Ireland. As no sail plan was found with the gig in Ireland, French naval architect François Vivier designed a dipping lug rig to fit in with the boats of the same era. 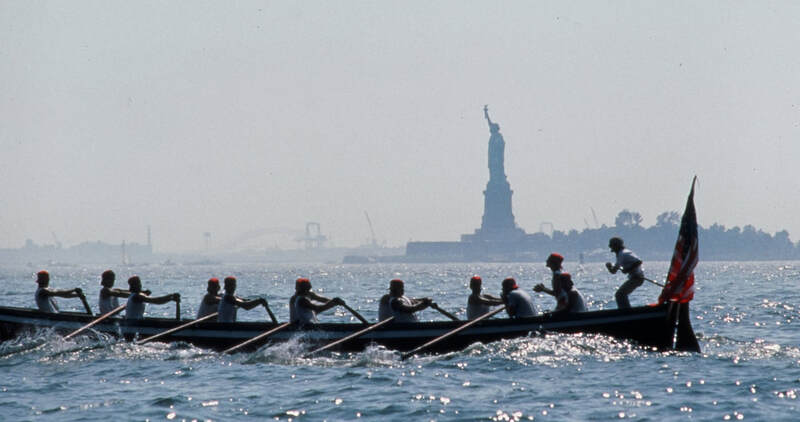 The first AC Contest of Seamanship was hosted in NYC in July 1986. AC was hosted in Douarnenez, France in 2000 in conjunction with another maritime gathering, Defi Jeunes Marins.